There’s a seemingly near endless range of Endless apps, each of which aims to help young children learn in a fun, hands-on way, but Endless Reader is perhaps one of the best. More advanced than Endless Alphabet, Endless Reader helps teach children to read basic words and sentences by having them drag letters into the correct position to build words. Words are then dragged into sentences, and the words, sentences and even individual letters are vocalized when tapped on. 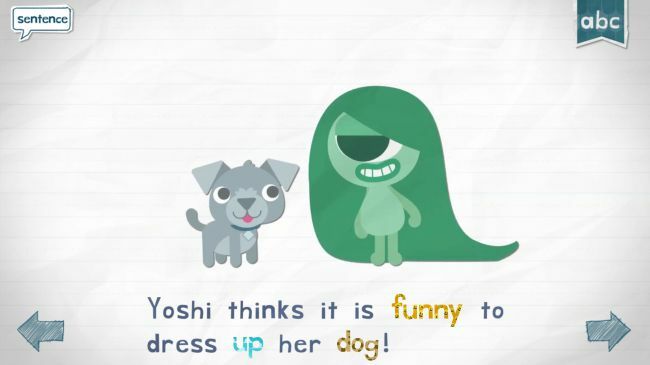 As words and sentences are built, you’re rewarded with cute animations featuring an assortment of colorful creatures, making it as fun and engaging for little minds as it is educational. For free you get access to a handful of words, but you’ll quickly hit a paywall, with new words (covering the entire alphabet and three different difficulty levels) costing between $5.99/£5.49 for around 25 more words and $29.99/£28.49 for all 315 extra words. That might sound steep, but it works well on both phones and tablets, and the art, sound and animations are sure to keep your kids entertained – and learning – for a long time.